Eating bak kut teh and other Singapore favourites would be great, but what celebrity baker Wu Pao-chun really hungers for when he begins an executive MBA course in the country is the know-how to run his burgeoning business, he tells The Straits Times. Mr Wu's plan to study at the National University of Singapore (NUS) in July has caused something of a nationalistic uproar in Taiwan. But he believes it is time to venture out of his comfort zone of bread-making and school himself in finance, logistics and the management skills befitting an entrepreneur. "I owe my success so far to friends and the people of Taiwan. But I can't always rely on others if I want to ensure the quality and stability of my business," said the 43-year-old in a phone interview yesterday. "What I'm really eager to acquire is practical skills and knowledge, not certificates." On Tuesday, Mr Wu announced on the Facebook page of his shop, Wu Pao-chun Bakery, that he had accepted an offer from NUS to enrol in its Asia- Pacific Executive MBA course. For the next two years, he will attend 10 days of intensive lessons every three months. The programme is conducted in Mandarin and features field trips to countries in the region. "I'd asked many Taiwanese friends about the programme and they told me it would give me many opportunities to learn," he said of his choice of NUS. Mr Wu shot to fame after winning the Master Baker title in the bread category of the prestigious Louis Lesaffre Cup in France in 2010. His three-year-old shop in Kaohsiung racked up sales of more than NT$200 million (S$8.4 million) last year. 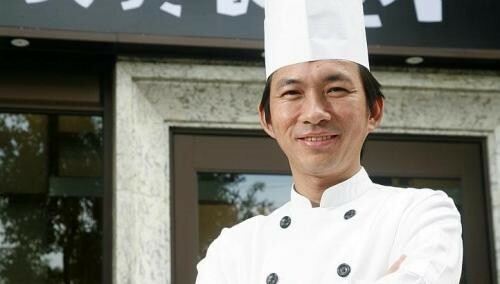 His second shop, in Taipei, is due to open in August. In an interview with Taiwan's Commonwealth magazine in March, he said an NUS official flew to Taiwan to interview him even though he had not submitted a formal application. The high-school dropout also expressed his frustration with Taiwanese universities' graduates- only entry criteria for their EMBA programmes. Many Taiwanese, including President Ma Ying- jeou, have called for the laws to be revised. The education authorities promptly did so. The revision has been nicknamed the "Wu Pao-chun clause". Mr Wu said yesterday that he never expected his comments to stir so much controversy. He talked enthusiastically about his upcoming stint as a lecturer at National Taiwan University, where he will teach the finer points of farming and, of course, baking. He will also attend selected business management classes at the school, on top of his studies at NUS. Local media see Mr Wu's move to study concurrently in Singapore and Taiwan as intended to assure fellow Taiwanese that he is not deserting his roots. Indeed, a movie on how he - the youngest of eight children of a widow - rose to become a world-class baker will debut in July, said Mr Wu yesterday. So what does the baker think of Singapore food? "I like the food in Singapore, especially rou gu cha," he said, using the Mandarin name for bak kut teh. "It is a Chinese dish after all."